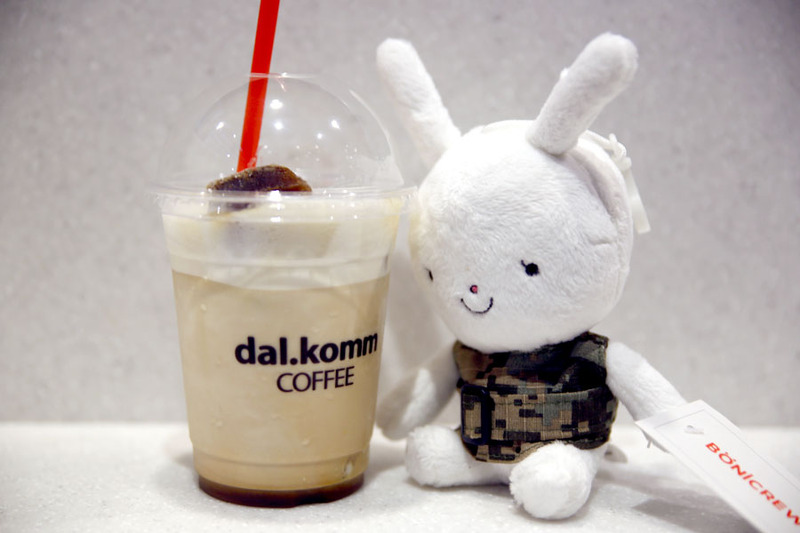 [NEW] ”Ohhhhhh… Every time I see you 그대 눈을 볼 때면…” Cue Song Joong Ki, Song Hye Kyo and dal.komm Coffee. 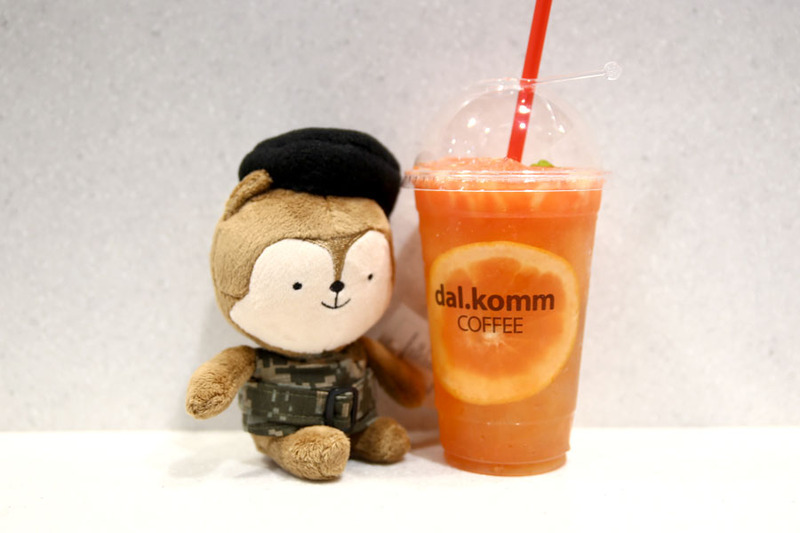 Fans of the Korean series Descendants Of The Sun should be familiar with the dal.komm coffee chain, where the D.O.T.S characters were seen trashing their hearts out in the café during iconic scenes. 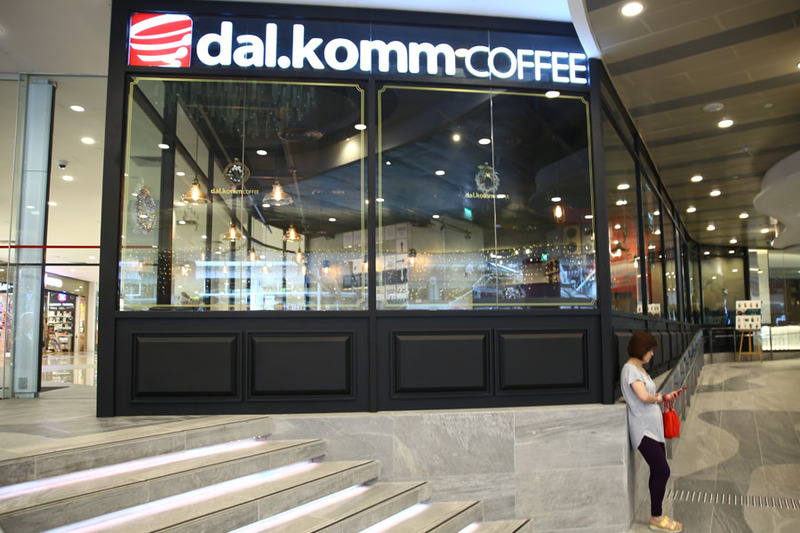 Even dal.komm Coffee has arrived in Singapore at The Centrepoint (opening 3rd Dec), but is it 9 months too late? Hmm… I suspect there won’t be THAT much fanfare. 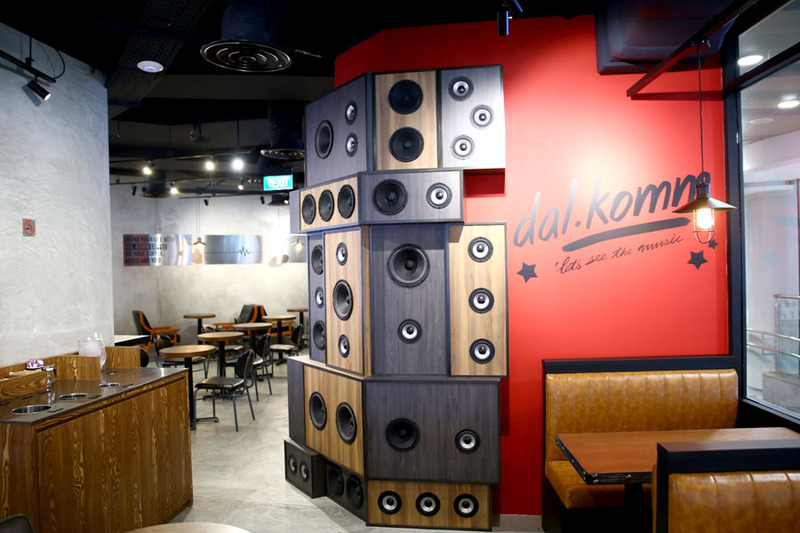 D.O.T.S aside, there are a few key features of dal.komm Coffee – specialty Arabica bean brews made with a proprietary selection of three blends K1 to K3; highlights music as a way to enhance the café experience, and a rather big area. 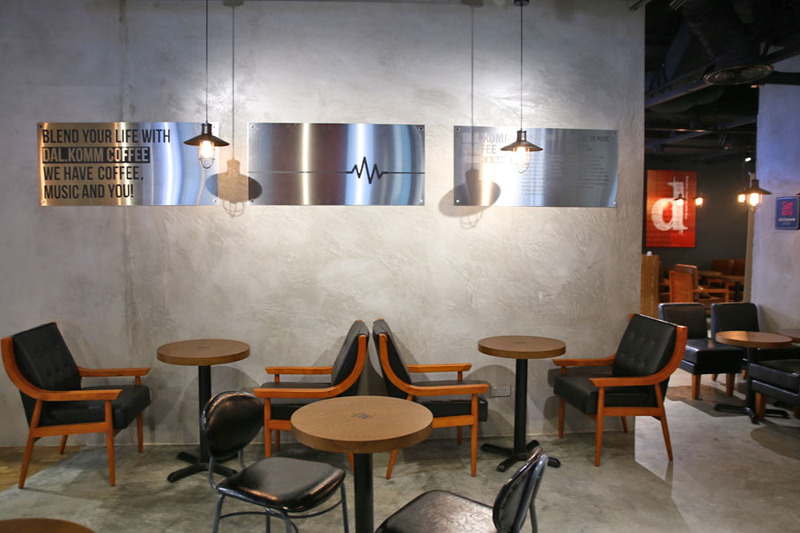 The 3000 square feet space has a section for Open Mic, and there is a ‘hidden’ part at the back (you may miss it), which can be booked and cordoned off for private events. 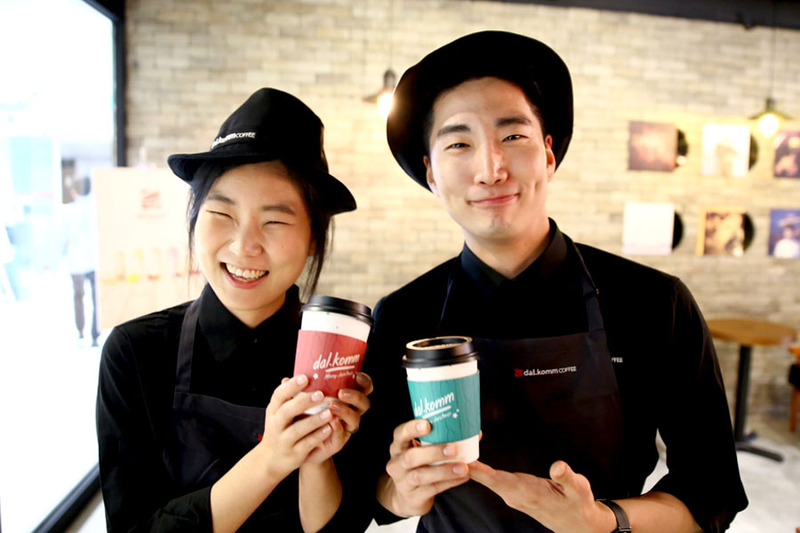 Highlight drink creations include Hot Choco Cube ($8.50), Iced Honey Grapefruit ($8.90) and Hot Sweet Potato Latte ($7.00, $7.50 for cold). 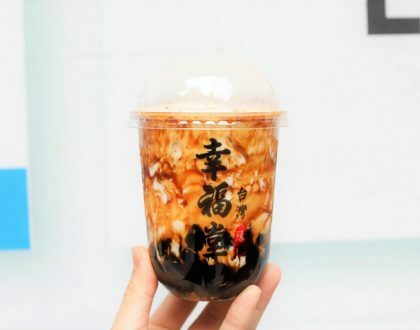 Some of the drinks such as the Honey Grapefruit ($8.90), though thirst-quenching, are about a dollar or two more than what I will be willing to pay. 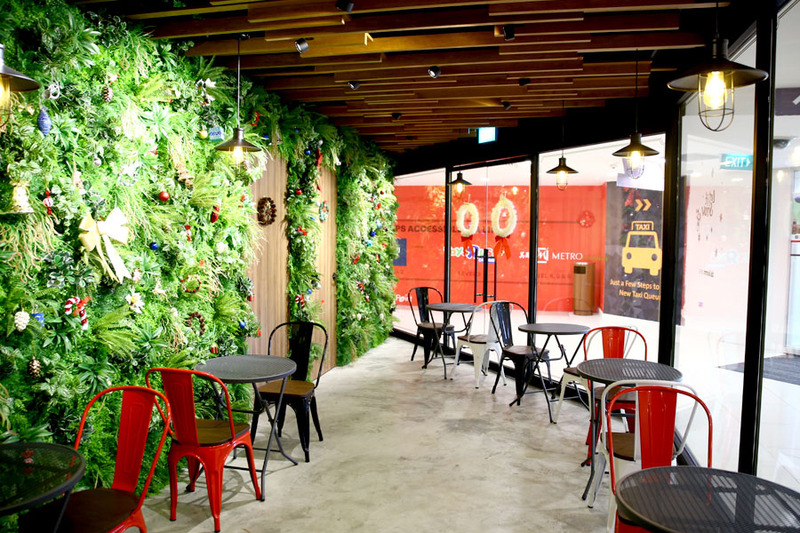 The menu also offers a variety of snacks and bites, such as Korean shaved ice dessert Bingsu, flatbreads, sandwiches and pastries. 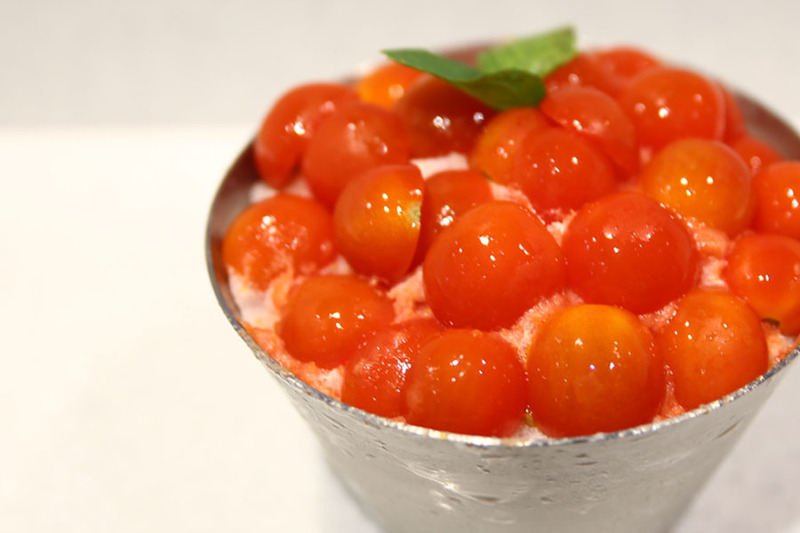 The recommended is a Cherry Tomato Bingsu ($10.90, $15.90), probably the first of its kind in Singapore, which features freshly cut cherry tomatoes over fluffy shaved ice. The surprise is at the middle with some added plum powder. 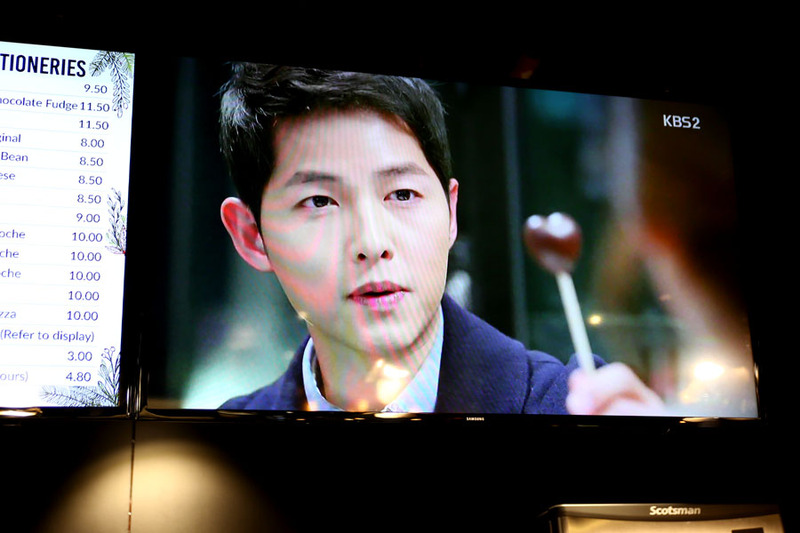 D.O.T.S fans may be disappointed to know that the only appearances of Song Joong Ki are in a television showing re-runs of those scenes (*melts*), and that same-old-same-old tie-shoe-lack poster stand. 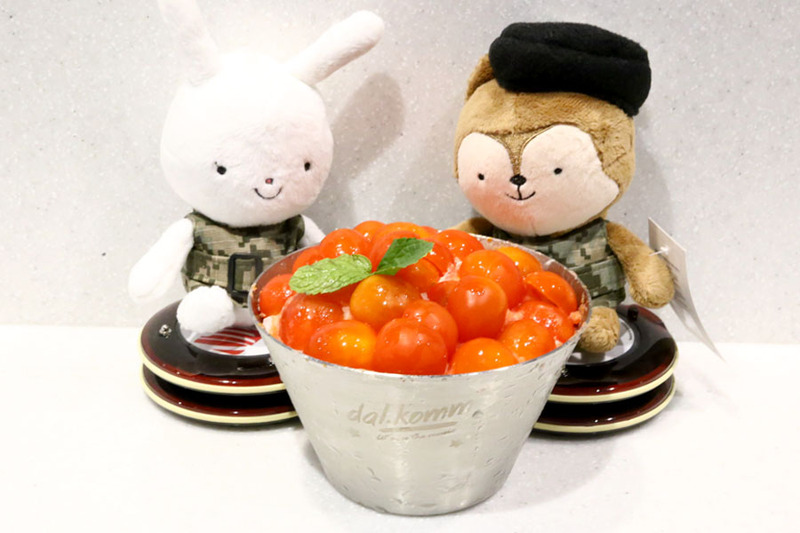 They should really put the Wolf & Rabbit Plushie Toys EVERYWHERE for more photo moments. Just a suggestion. 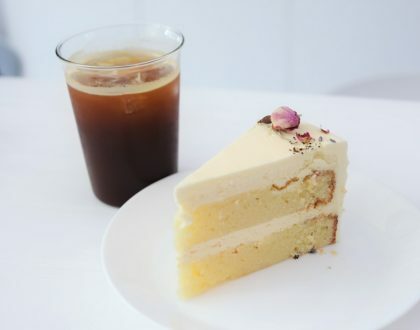 Anyway, I won’t mind sipping through a cup of Cube ($8.50) – blocks of frozen espresso in milk, while taking a respite from busy Orchard Road here. 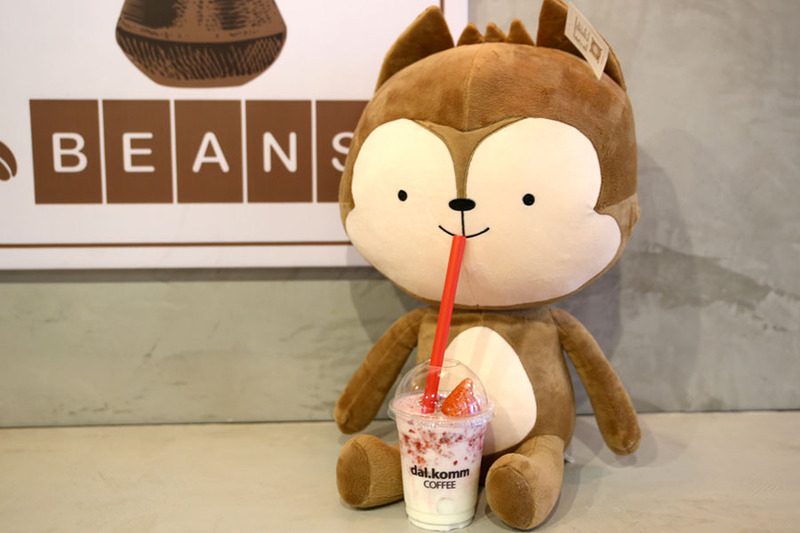 Note: The plushies cost $89.90 for the big, and $29.90 for the small. 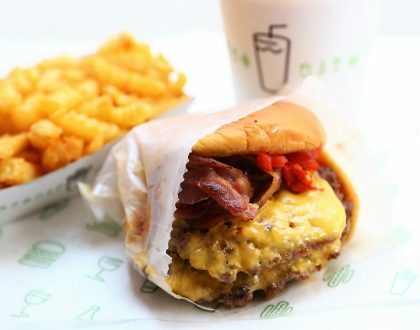 A $20 minimum spending of $20 on the food/drinks is required before you can purchase them. Yes, they are serious about this.